While at a local shop in her hometown of Brookline, Vivianna of Junior Troop 62558 was bothered to notice that employees were throwing away unsold items. She raised her concern at her next troop meeting, and their Bronze Award project was brought to life. 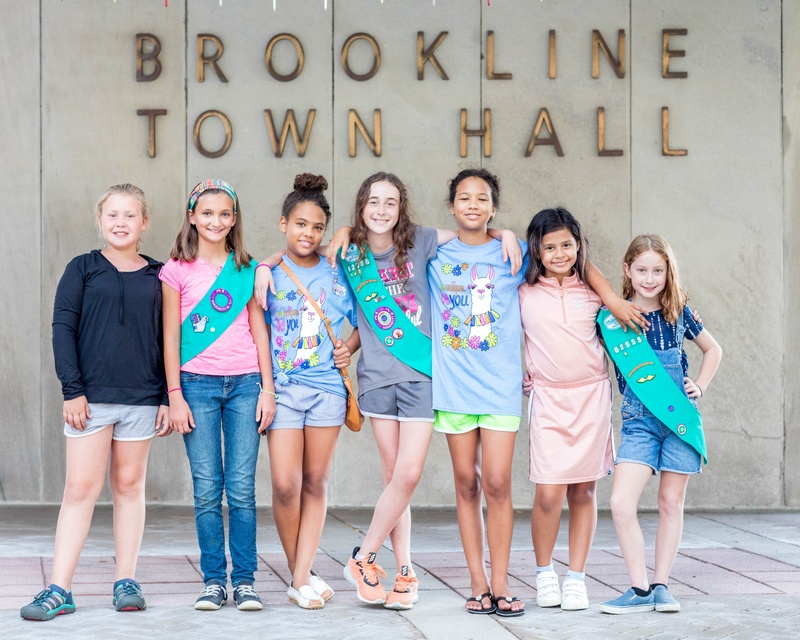 The girls spent months researching, speaking at town meetings, and getting votes to support their cause: Warrant Article 21, which encourages commercial entities in Brookline to donate unopened, unused, and non-expired merchandise to nonprofit organizations. They met with Select Board Members to notify them of their resolution and get their input, and hosted booths at local events to raise awareness and support. Warrant Article 21 passed with a unanimous vote. Now, Brookline businesses can opt into the program and post a “WA 21” decal in their shop windows to alert consumers that they are donating unsold goods to local charities. The Girl Scouts of Troop 62558 are continuing to oversee Warrant Article 21 by providing participating stores with decals and connecting them with nonprofit organizations. The girls were surprised at the level of commitment a project of this scale requires. But they knew their work—the research, preparation, meetings, and awareness campaigns—was worth it.